Yoyo Casino is a minimalist casino providing all the great pokies games in a simple, easy to use interface on both mobile and desktop format. Easy to claim match deposit bonuses will give your balance a kick start so you can begin enjoying all the latest casino games. Customer service is fast and knowledgeable. 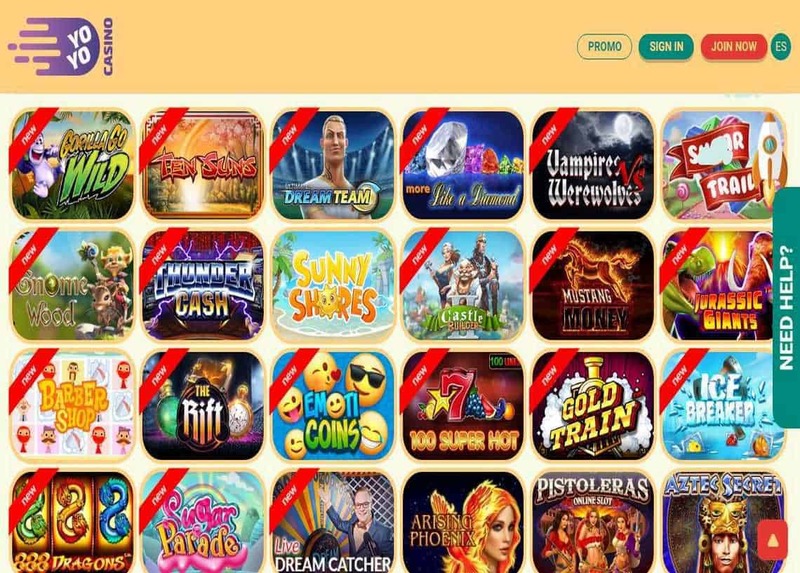 Yoyo Casino is one of the latest online casinos to offer pokies from the best developers including NetEnt and Betsoft. Variety of games to play is very impressive with fantasy, action and adventure pokies galore. Free demo games are available along with real money slots (if allowable in your country). The range of bonuses at Yoyo Casino is very impressive with a weekly reload of 50 free spins and 200 free spins for all new registrations. Yoyo casino is designed to be easy to use, fun and intuitive in showcasing games that suit players interests and playing style. Casino management have worked hard to ensure that players are happy with the range of pokies available and that their loyalty is rewarded through bonuses and a rewards point system. The casino offers such a large range of games that the most choosy of guests will find a pokie game they like and enjoy all the benefits including live tournaments and progressive jackpots. One of the advantages of playing at Yoyo casino is the fast payouts on offer. Deposits made electronically are instantly credited and once an account is fully registered withdrawals take 24-48 hours to process. Yoyo Casino offers a VIP system providing a personal manager, financial privileges and additional bonuses. Rise up the ranks the more points are collected from bronze, silver and gold, through to platinum and finally diamond. Diamond VIP members will receive a 15% cashback on all losses and enjoy considerable bonuses throughout the year. Yoyo Casino is registered and established under the laws of Cyprus and is licensed with registration number HE363026. Yoyo Casino is regularly audited to ensure payouts are consistent and there are no glitches in technology that create an unfair playing field. If you want to play at a casino that is easy to navigate, functional with minimalist design then Yoyo casino will suit. Sign-up a new account and claim a 100% bonus up to $500.